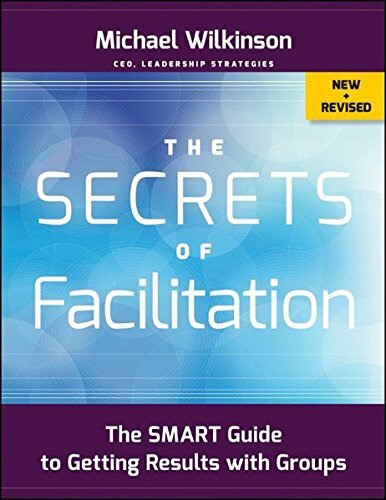 The revised edition of this facilitation classic offers a wealth of targeted techniques for facilitators who seek effective, consistent, and repeatable results. Based on Michael Wilkinson's proven SMART (Structured Meeting And Relating Techniques) approach, The Secrets of Facilitation can help to achieve stellar results when managing, presenting, teaching, planning, and selling, as well as other professional and personal situations. This expanded edition includes new chapters on facilitating virtual meetings, cross-cultural teams, and large groups and conferences. It also provides a series of strategies for engaging teams, additional information about making meetings more productive, and further guidance on preventing dysfunctional behavior. In addition, the book contains a wealth of fresh case studies and an ancillary website with must-have tools and techniques for both the beginner and the seasoned facilitator.